San Francisco, CA -- Roots music booking agencies TG2 Artists and Mike Green & Associates have merged to form TG2 - Mike Green Artists. Both agencies represent an exceptional touring roster of American roots, Celtic, folk, and bluegrass artists, including GRAMMY Award winner and harmonica hero Howard Levy (Bela Fleck), GRAMMY Award nominee and roots music darlings The Duhks, Emmy Award nominee and folk royalty Jay Ungar & Molly Mason (The Civil War by Ken Burns), and Solas, the quintessential Irish-American band recording and touring in the US today. 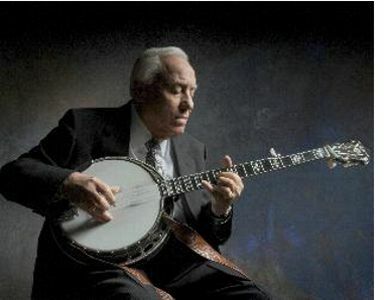 Nashville, TN -- Earl Scruggs was perhaps one of the only musicians in any genre who created the definitive sound of his instrument in the genre; banjo players around the world will forever identify the sound of the three-finger style of bluegrass banjo playing as “Scruggs style.” Warren Hellman was a visionary who created, funded and grew his California-based “Hardly Strictly Bluegrass” free event into one of the largest of its kind in the country. Mr. Hellman passed away on December 18, 2011, and Mr. Scruggs passed away on March 28, 2012. The Crooked Road: Virginia’s Heritage Music Trail (TCR) music series at Heartwood in Abingdon showcases communities of the region through their traditional music venues and their youth music. At 7:00 pm on Thursday, August 23, the Radford Fiddle & Banjo Jam from Radford, Virginia will be the featured Venue Showcase at Heartwood. Radford is a lovely city located along the beautiful New River. It’s also home to the Radford Fiddle & Banjo Jam, a 12 year old weekly gathering of musicians, city residents, and Radford University students who share an appreciation for Old Time and Bluegrass music. One of the unique things about this Jam is that it creates a great atmosphere where students and city residents can mingle socially. That’s very important for both the University and the City. The following statement was released by Gibson regarding their recent Department of Justice Settlement where the U.S. Government accused the guitar maker of illegally importing rare woods in violation of the Lacey Act. Gibson says, "After many weeks of negotiation, Gibson has settled all issues with the U.S. Government and the Department of Justice. CEO Henry Juszkiewicz commented, "We felt compelled to settle as the costs of proving our case at trial would have cost millions of dollars and taken a very long time to resolve. This allows us to get back to the business of making guitars. An important part of the settlement is that we are getting back the materials seized in a second armed raid on our factories and we have formal acknowledgement that we can continue to source rosewood and ebony fingerboards from India, as we have done for many decades." Nashville, TN -- The Americana Music Association Board of Directors is pleased to announce significant changes to their business operations. These include: the announcement of their Executive Committee; selection of a new accounting firm; a new leadership ascension plan and changes to bylaws to allow for Board appointments. After making headlines at the beginning of the summer touring season by taking ticketing into their own hands, The String Cheese Incident have sold out almost every show on their 2012 summer run. The tour concluded recently with three headlining SCI sets at Horning's Hideout, a festival in North Plains, OR that the group founded over a decade ago and sold out in only 20 minutes this year. Other highlights include Jerry Harrison of Talking Heads sitting in with the band and The Greek in LA and three headlining sets at Electric Forest for a crowd of over 25,000. 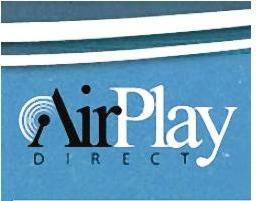 2011 proved to be a fantastic year for AirPlay Direct's growth and evolution now accelerating to over 7,200 radio station members globally and over 32,000 artist and record label members around the world. This type of global market place positioning and advancement in 2011 has set a firm foundation for APD's continued strong growth throughout 2012.